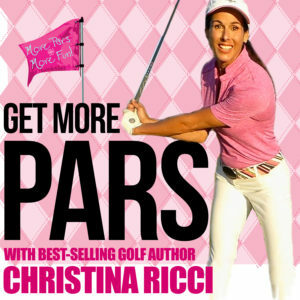 Tip of the Week 25 » Sink More Short Putts Drill – CHRISTINA RICCI MORE PARS! How’s your putting 6-feet on in? If you miss more than you make, let’s get you going for the back of the cup. Watch the Pros, you’ll generally see them go for the back of the cup on the short ones to ensure it stays on line… and it softens the nerves that can takeover. If you try to finesse the ball into the hole, you’ll risk a ring a round the rosy or an altogether miss. So, let’s get to it!